A whimsical decorative wall plaque made with retro string art. Plaque is 16" x 10"
This cute bag is actually an insulated wine tote! 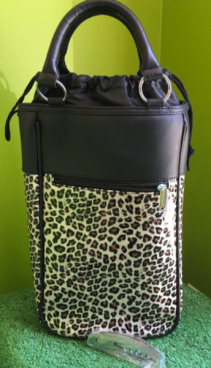 Holds two bottles and comes with a portable corkscrew. 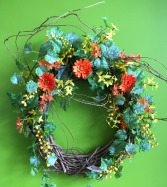 A custom made wreath in a bright orange & yellow mix of silk flowers on a grapevine wreath. Measures approximately 21". Will hang beautifully above a fireplace or any wall. A unique wall decoration custom made in our Shoppe. Shovel unit has two baskets holding a lively assortment of flowers and ivy. 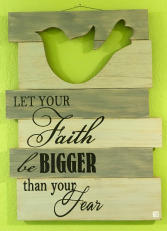 Approximately 36" L x 16" W.
Inspirational Wall Art with a country feel. Wood slats with a modern look. Bird cutout shows the color of the wall behind. Measures 20 1/2" W x 27 1/2" Tall. Flowers convey a message that cannot be put into words. 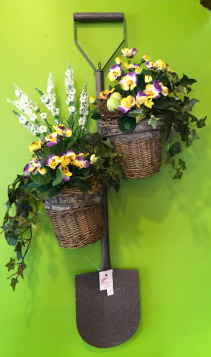 EXPRESSIONS FLORAL & GIFT SHOP of Hamburg, NY provides a variety of fresh, fashionable floral designs to ensure that your gift is one of elegance and beauty. When you're looking for a unique hostess gift, token of appreciation or just a surprise to brighten someone's day, let EXPRESSIONS FLORAL & GIFT SHOP customize and deliver one of our many fun, decorative & luxury gifts! We create dazzling presentations that are sure to please for any gift-giving occasion. 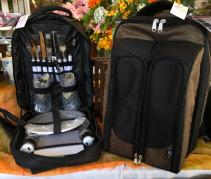 To get your custom gift items, come by and see EXPRESSIONS FLORAL & GIFT SHOP - your local Hamburg, NY florist.